We are very excited about the introduction of the Aquarius CarWash WashCard system that offers massive savings over the regular prices of all of our services for both home and business users alike. Be sure to check out the details on this awesome new service that makes using Aquarius CarWash that much easier and cheaper. 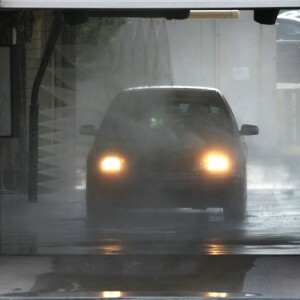 Our automatic service is a touch free wash so rest assured nothing will get the rough treatment. We offer a prepping service on our automatic and is available 7 days a week between 9am and 5pm. Our self serve facilities consist of high pressure washes and soaps as well as soft foaming brushes and spot free rinse functions. When it comes to vacuuming, our wet/dry vacs on site cater for whatever mess you or your kids you can serve up. We also have a vending station where we stock the most common and sort after products to keep your car looking and smelling great. And to finish it all off our detailing service can offer you everything from the basic fixes through to a full detail and get your car back into shape and looking almost brand new again. So whatever your car wash needs are, at Aquarius CarWash Mudgee we have got all your bases covered.